Meticulously maintained home in gated community in highly desirable Cottage Grove. Stand-out home in Patterson Heights featuring a custom gated front yard and paved patio, wood flooring in all living areas and bedrooms and upgraded tile, custom master closet built-ins, quality granite counters, brushed nickel fixtures, upgraded stainless steel Bosch appliance package and 42 custom cabinets with under mount lighting. 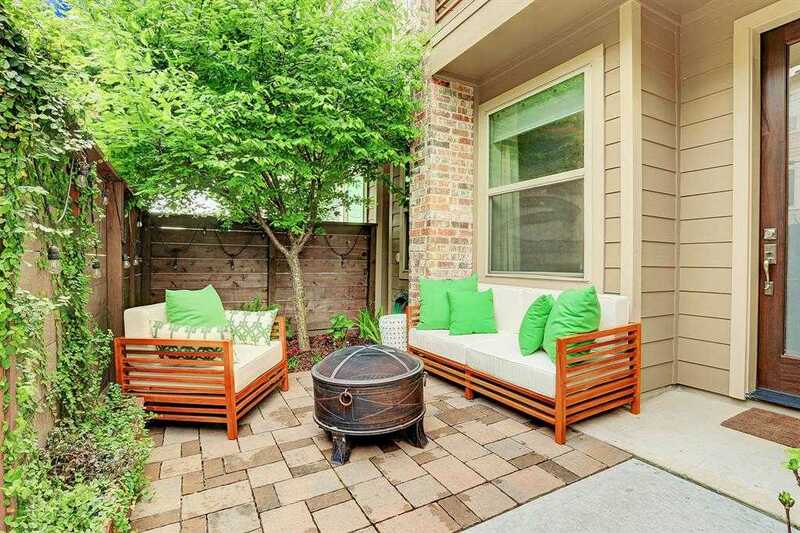 Enjoy the private but shared back yard with pergola and benches. Easy access to the Heights/White Oak hike and bike trail accessible from Patterson. Close to all the trendy coffee shops, restaurants, shopping as well as the new HEB on Shepherd. Close to downtown, Galleria and Washington corridor. Conveniently located to access I-10. NEVER FLOODED! !